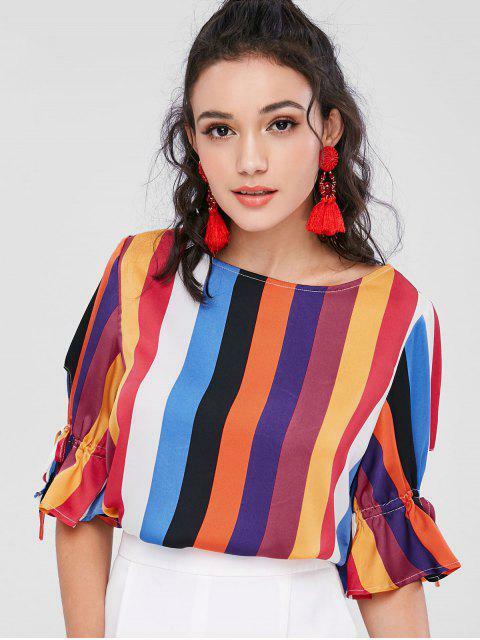 [26% OFF] 2019 Colorful Striped Flare Sleeve Blouse In MULTI | ZAFUL ..
Just like wearing the rainbow on, you'll be in the good mood all the time. Featuring colorful stripes throughout, this blouse has a V-cut back and flared half sleeves with drawstring ties that you can control the sleeves' styles. You can go with jeans or denim shorts to customize your own stylish looks.